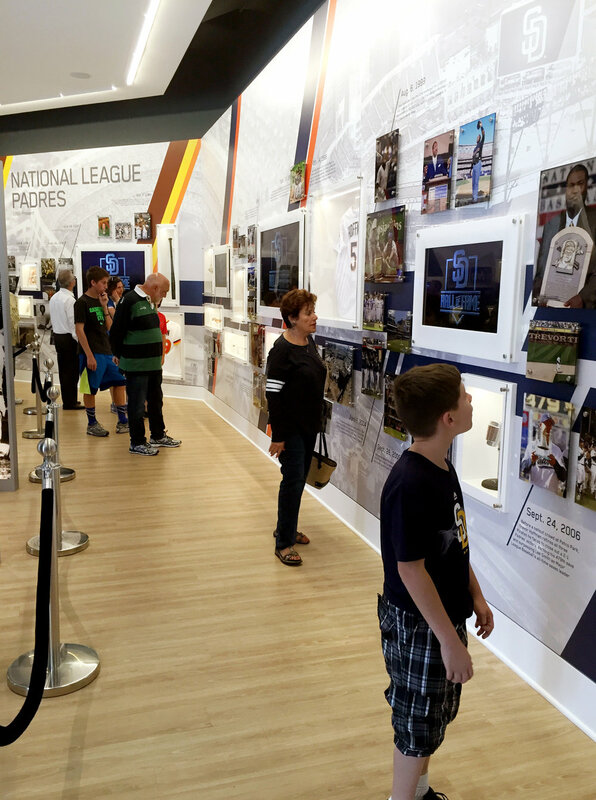 Paying tribute to San Diego's rich baseball history, the Padres Hall of Fame features an interpretive timeline highlighting key pieces of historic memorabilia, punctuated with streaming video content, and culminating at an interactive, wrap-around, user-controlled immersive theater. 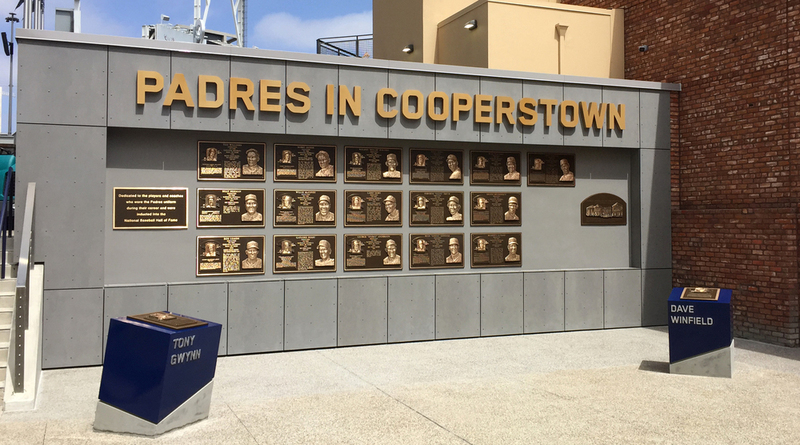 A series of free-standing, internally illuminated player panels honor the players, coaches and executives who have contributed to the organization's growth and success since San Diego broke into the major leagues in 1969, while an all-time leader board highlights the Padres statistical hitting and pitching career leaders. The inaugural class of '99 included Randy Jones, Nate Colbert and Ray Kroc. 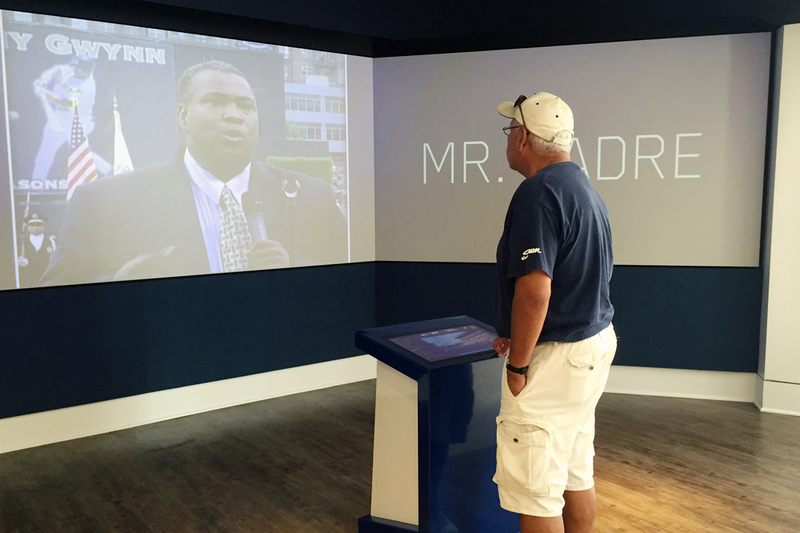 In 2000, outfielder Dave Winfield was the lone inductee. Buzzie Bavasi and Jerry Coleman were inducted in 2001 and Tony Gwynn took his place in the Padres Hall of Fame in 2002.